Forever in our hearts, the passengers and crew of FZ981 will never be forgotten. Reflecting on the one-month anniversary since the tragic loss of flight FZ981 flydubai will launch its memorial website ‘withgreatsadness.com’ on 19 April 2016. 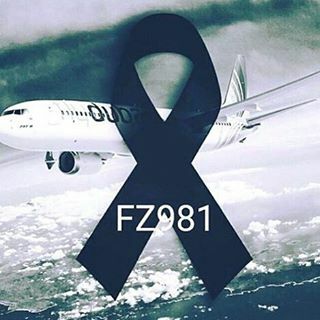 The website commemorates the memory of the passengers and crew of flight FZ981 and collects the thoughts and photographs of those who wish to express their condolences following the tragic accident. flydubai’s focus over this last month has been the mobilisation of its Family Assistance Team and the ongoing support to the investigating authorities. Within 30 minutes of being alerted to the accident, flydubai’s Crisis Centre in Dubai mobilised its Emergency Response team and, later that day, they left for Rostov-on-Don. This initial team included both technical and humanitarian specialists working alongside the Russian Emergency Services to assist in their relief efforts and opened the Family Assistance Centre in Rostov-On-Don. In the first week following the accident the Family Assistance Team was established to communicate directly with bereaved families and address their very individual needs on a longer term basis. As part of the long term Family Assistance each family has a dedicated Care Team member. flydubai’s Family Assistance Team will continue their work for as long as necessary which includes identification, repatriation and the support required for personal effects. flydubai also launched a website which is a source of information for the families. flydubai will continue to work alongside the investigating authorities in their continued efforts to identify the cause of the accident and its support to the families will continue for as long as necessary.